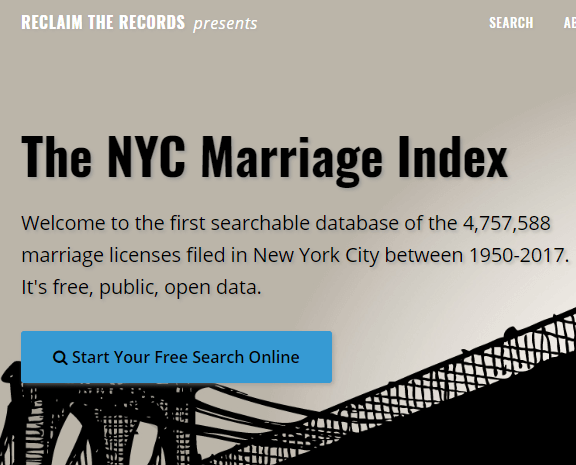 Work on your New York genealogy research with these new naturalization and marriage license records. Also: WWII draft registrations; family history records for AL, ID, KS, KY, LA, OH, VA; and records from Australia, Canada (including a mapped-out photo archive of Toronto streets), Denmark, Italy, Portugal, and Sweden. 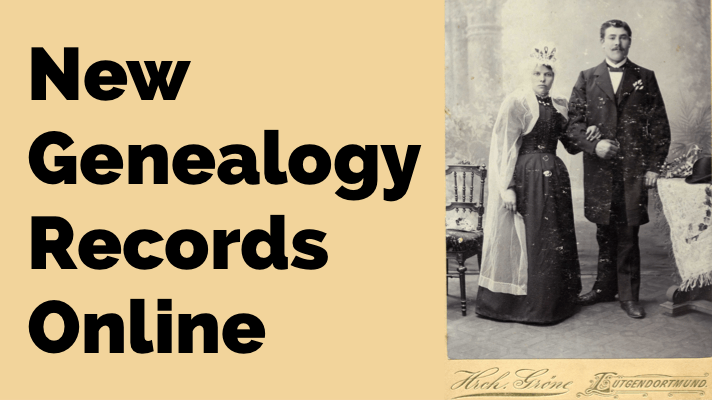 Welcome to our weekly roundup of new and updated genealogy records online. Most of this week’s images come from Genealogy Giants Ancestry.com and the free FamilySearch.org, but there are few additional sites represented here, too! Happy researching! Over three-quarters of a million indexed records have been added to New York, Southern District, U.S District Court Naturalization Records, 1824-1946. 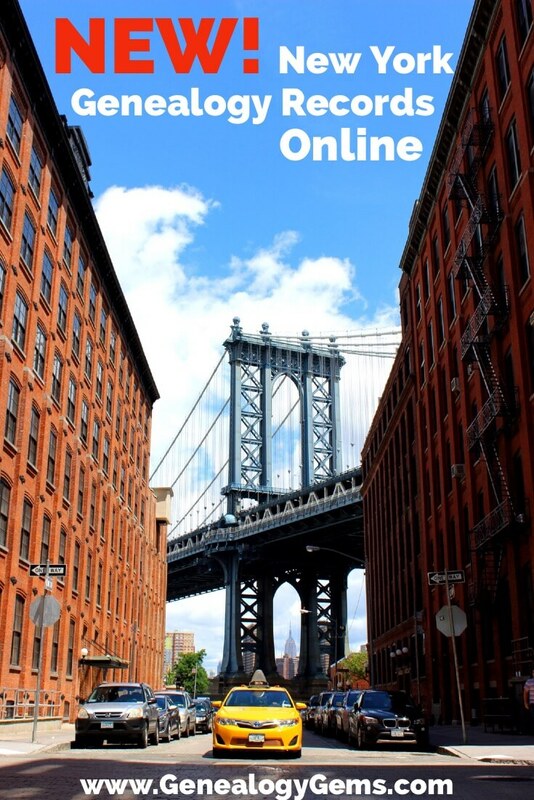 New York research is challenging for many reasons, not least among them limited access to vital records for your transient and immigrant ancestors in this state. Naturalization records are also typically difficult to find, as your ancestors in certain time periods could submit paperwork in any court they pleased. So this is a great collection! Let us know if you find any ancestors in this collection. We love hearing about your successes. World War II draft registrations. Ancestry.com has updated its collection of U.S. WWII Draft Cards Young Men, 1 940-1947. “This database contains images and indexes for registration cards filled out by men born between the years of 1898 and 1929 from Arkansas, Georgia, Louisiana, and North Carolina.” It also contains an index (with a link to images available on Fold3) for about half of U.S. states. Ohio. 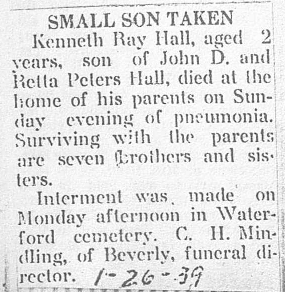 New (and always free) at FamilySearch is a collection of Ohio, Washington County Newspaper Obituarie s, 1884-2013. The collection already contains nearly 700,000 new indexed records. Washington County is key to Ohio history because it was the original county in this Northwest Territory state. Canada. About 4,000 images have been added to a free digital archive of historic photos of Toronto. OldTo organizes these images in an easy-to-use map interface. 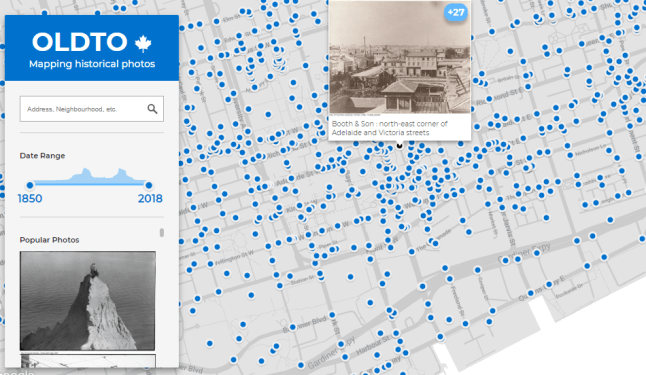 Even if you have no personal connection to Toronto, it’s fun to play with this and look at the pictures, which date back to 1850. Denmark. Nearly 9,000 indexed records have been added to the free FamilySearch collection, Denmark, Military Conscription Rolls, 1789-1792. The records are written in Danish. 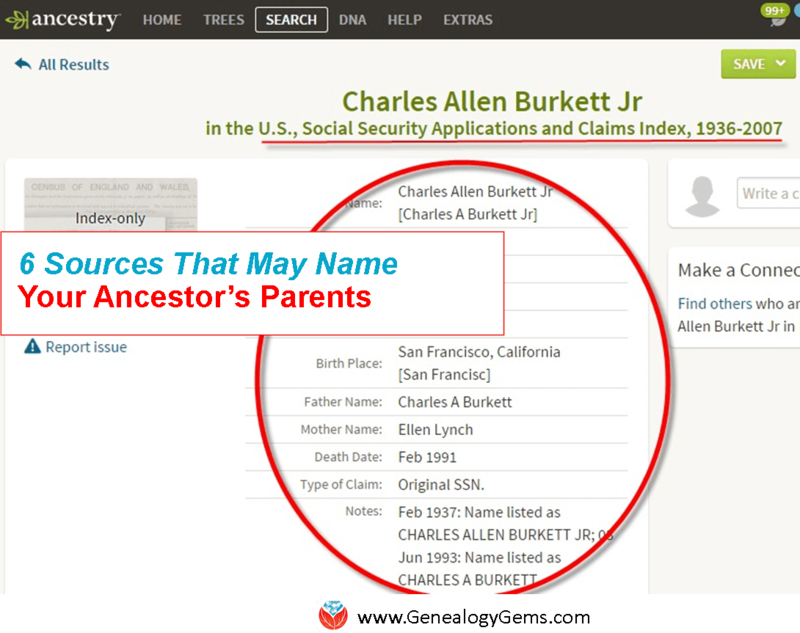 For tips and more information about using the records, see this article on the FamilySearch wiki. Portugal. Over 114,000 indexed records have been added to Portugal, Porto, Catholic Church Records, 1535-1949. “These records include baptisms, marriages, and deaths. Some of these records have been indexed and are searchable as part of this collection. Additional images and indexed records will be published as they become available.” Tip: scroll down to the bottom of the page and click where it says you can browse over 1.2 million record images. That’s where you’ll find the pages that haven’t been indexed yet. Sweden. About 13,000 indexed records have been added to Sweden, Örebro Church Records, 1613-1918; index 1635-1860. As the title of the collection indicates, only a portion of the records have been indexed (had the names extracted). That means, if you REALLY want to find your ancestor, you may need to browse the records as described above. Lisa Louise Cooke teaches a 3-part series on naturalization records in her free how-to podcast series, Family History: Genealogy Made Easy. Listen to episodes 29, 30, and 31 for all you want to learn about passenger arrival lists, certificates of arrival, passenger departure lists, annotations on passenger lists, and the Ellis Island experience.